​and preserve our land for generations to come." Just imagine the celebration firework only. ​is part of the recipe for happiness! 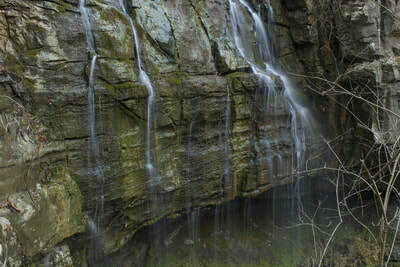 The mission of the Southeast Nature Society is to educate people and help them to discover the true value of nature for physical and spiritual well-being and happiness, to help people safely interact with nature, and to make the nature of the Southeast more readily available to everyone, regardless of their physical abilities. Nowadays, a vast amount of people are disconnected from nature, not realizing the role of nature in human life. They spend much of their time indoors with electronic devices, surrounded by EMFs and blue light, lacking vital sunlight and fresh air. Connection to nature and its regenerative power is essential to people's lives. The Southeast Nature Society provides opportunities for you to get involved in nature, and for people to share their outdoor experiences with others. The Southeast Nature Society educating people and inspiring to explore nature's beauty and wonder, reveal underappreciated locations of great natural beauty on public land in our area, and help conserve the environment of the Southeast. 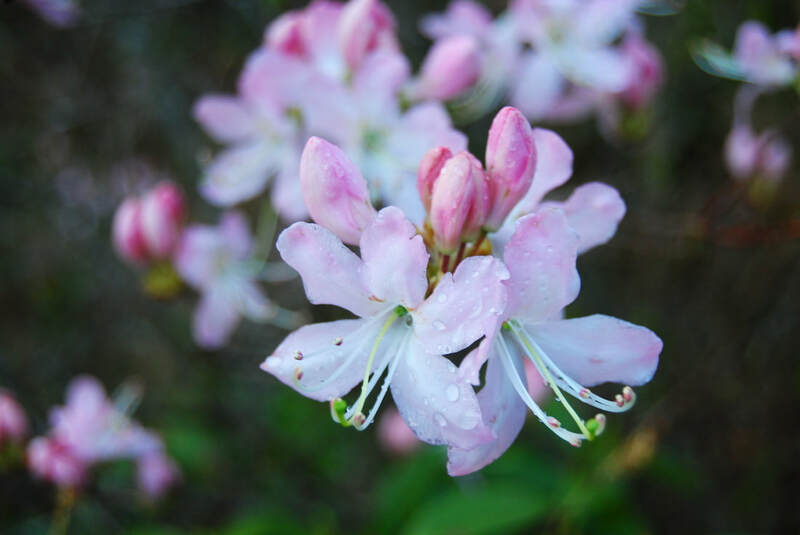 The Southeast Nature Society offers educational nature-oriented talks for the community, as well as free professional-grade nature pictures to area publications and the US Forest Service. The Southeast Nature Society will provide opportunities for people to connect to each other and make friends through its social media nature groups, meetings, and hikes. On May 26th, co-chairs of the Southeast Nature Society met on a hike along the Thompson River in southwest North Carolina to discuss plans and ideas for the society. We devised a new idea for meetings: to hold meetings during hikes out in nature. We also came up with the idea to designate June 1st as Nature Gratitude Day. Summer is the season when people spend the most time immersed in nature, so given that June 1st is the first day of the summer months, we deemed it to be an appropriate date to be known as Nature Gratitude Day, so that we can thank Mother Nature for all of its gifts to us! 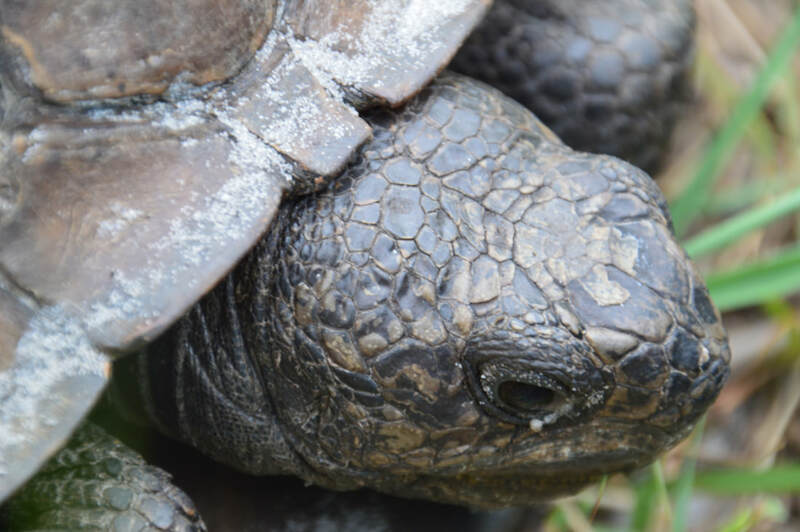 Join the Southeast Nature Society by subscribing to our monthly newsletter! Subscribe to Newsletter and Become a Member! Have you ever thought that we are a microcosm of the infinite universe? Have you ever realized that we are part of nature, and that this is why nature affects us so significantly in all aspects of life? Our country has all kinds of fascinating ecosystems and gorgeous landscapes, spread out from the Pacific Coast to the Atlantic Coast across three major mountain chains. We're so lucky to have one of the mountain chains, the Appalachian Mountains, right in our own backyard in the Southeast. The Southern Appalachian Mountains are home to many terrific natural sights. 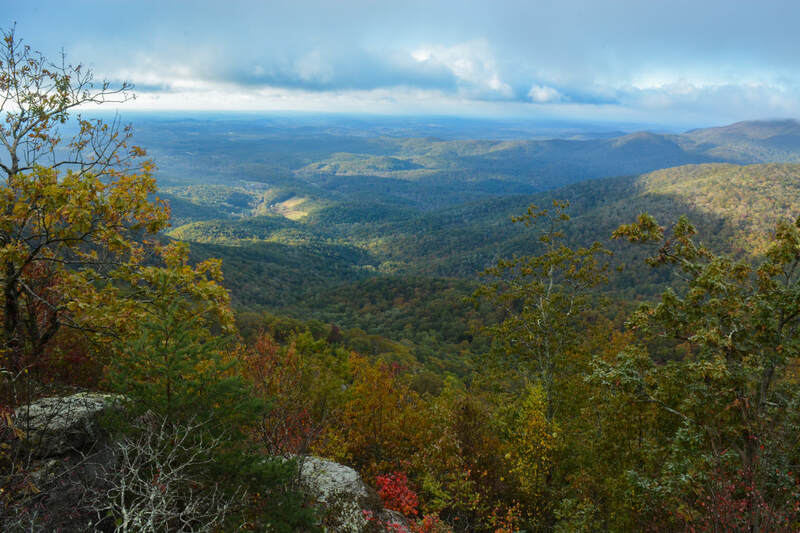 Millions of acres of pristine forest in the Southern Appalachian Mountains include everything from far-stretching vistas atop Blue Ridge Mountain cliffs to tumbling moss-lined waterfalls to endangered wildflowers like the Gray's Lily.Folks who get out and explore the Southern Appalachians will find that there is a lot to see. 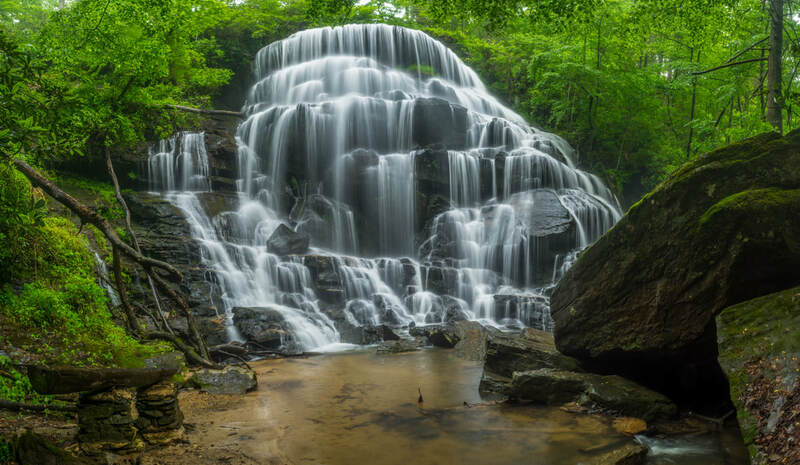 Not only does immersing oneself in the natural wonders of the Southeast enrich the spirit, but the mountain hikes involved aid physical well-being. Any waterfall experience will enrich your body and soul. Did you know that the power of the crashing water at waterfalls leads to the emission of negative ions? The many health benefits of the negatively-charged ions have been proven scientifically. Most people don’t realize that negatively-charged ions aren’t only produced by ocean surge. Thus, you don’t have to travel to the beach – you can just head to the nearest waterfall! In addition, the soothing sound of falling water and dynamic cascades is beneficial for mental health, inner peace, and regeneration. 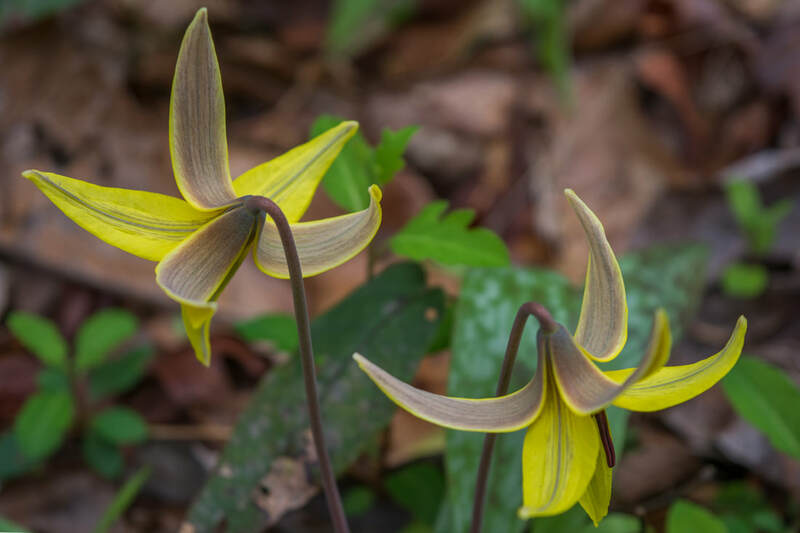 Many wildflowers can be found across the Southern Appalachians in spring and summer, such as the trout lily above and rare pink shell azalea on the right. The loggerhead sea turtle is an endangered species. These turtles typically lay eggs on the beaches at night. The two videos on the right demonstrates a unique event: a sea turtle coming in the daytime to make a nest for its eggs on the St. Joseph Peninsula beach in Florida. The second video is of the same sea turtle after it has laid its eggs and is heading for the ocean, eventually entering the water under the vivid colors of the setting sun. 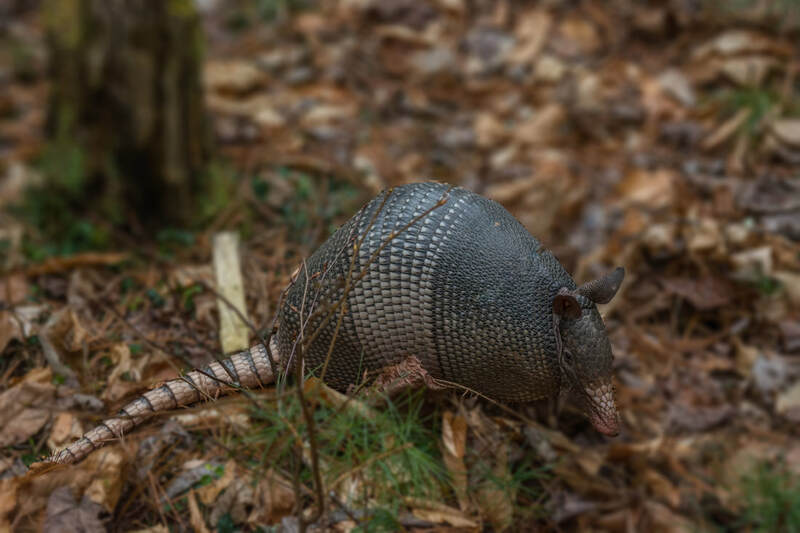 The Southern Appalachians are home to numerous wild animal species such as black bears, bobcats, and even armadillos (left). Meetings will be held at 5187 Roswell Road, Sandy Springs, Georgia, as well as in nature. According to popular feedback, here's a list of other helpful groups where nature enthusiasts can connect.